The year is 1991. You’ve just been to the cinema to watch Father of the Bride and are now driving your Ford Sierra home as Vic Reeves and the Wonderstuff blast out of your speakers. Meanwhile many miles away, Nike have just released their highly anticipated Air Max 180 trainers. With 50% more air than their predecessors, they’re set to change everything you know about running shoes. 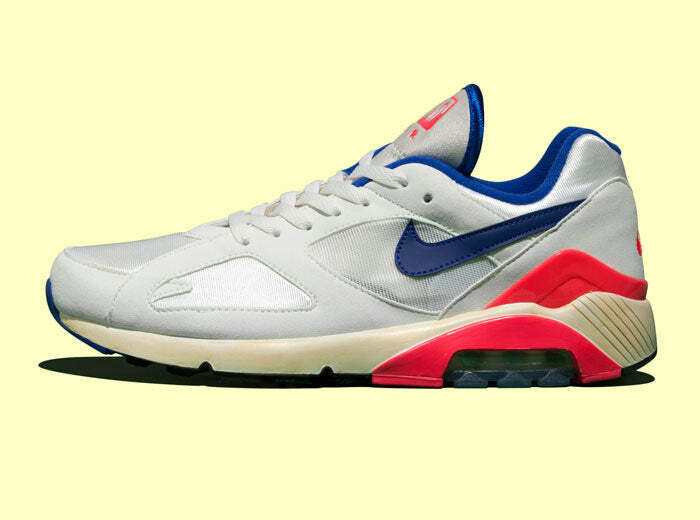 Fast forward 22 years and your Ford Sierra may have long since failed its M.O.T., but the Air Max 180s are back, and with the classic colours it’s like 1991 all over again. Now where did we put that Vic Reeves cassette?